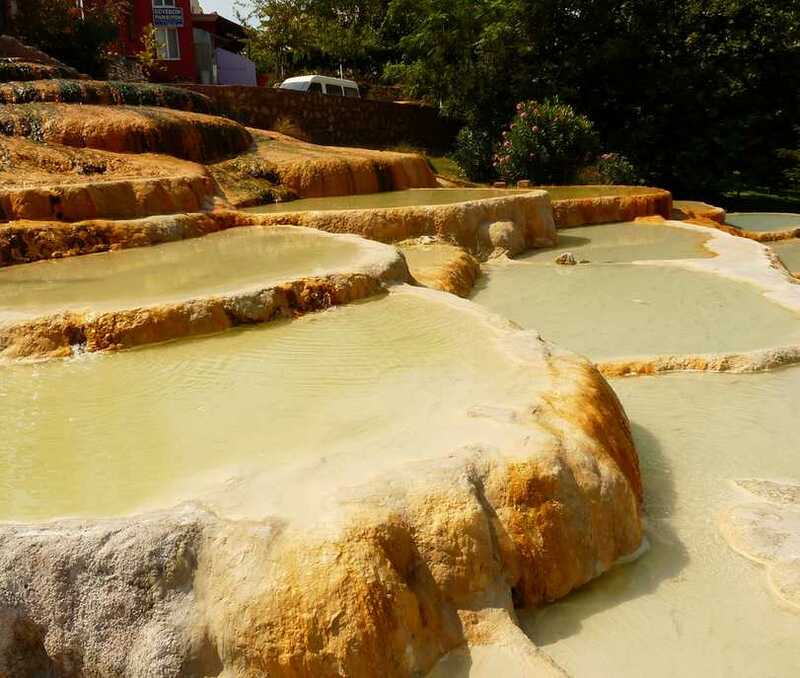 Karahayıt is about five kms away from Denizli with lots of hotels offering good accommodation facilities to the visitors coming to see Pamukkale, Laodicea and Denizli province. The water comes from the travertines is in red color so visitors enjoy seeing the red travertines-calsium oxide formations- here .The area is on the way to become the health spa center of Turkey and it will be soon with a great fame known all over the world because the main source of Karahayıt is red color healing thermal water and thermal mud that coming out to the surface in 58 C degree in every season. Red water, called as Kırmızı Su by Turkish people, is very close to Pamukkale and about 20 kms from Denizli city. 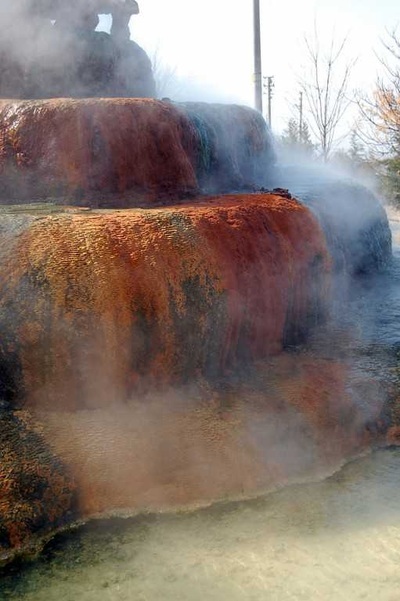 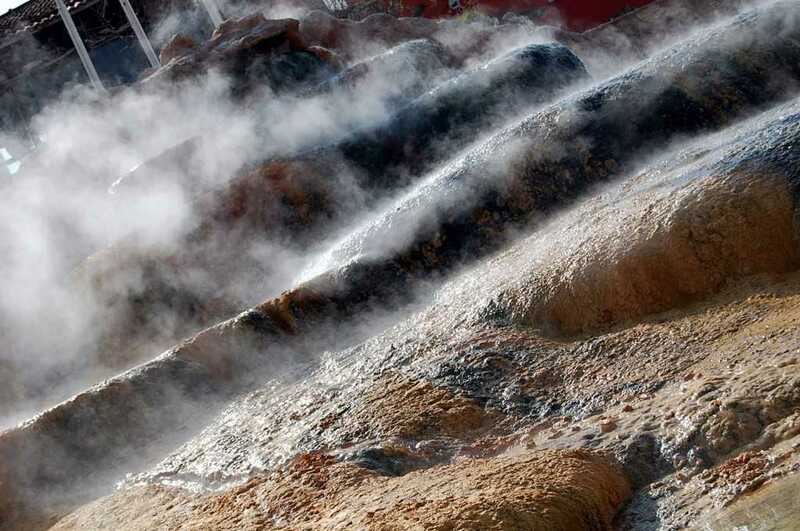 Red water travertine has occurred around the thermal water at 600C temperature. 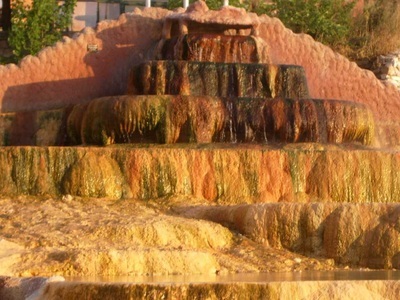 Red, green and white colored travertine layers are formed because of the metal oxides in the thermal water. 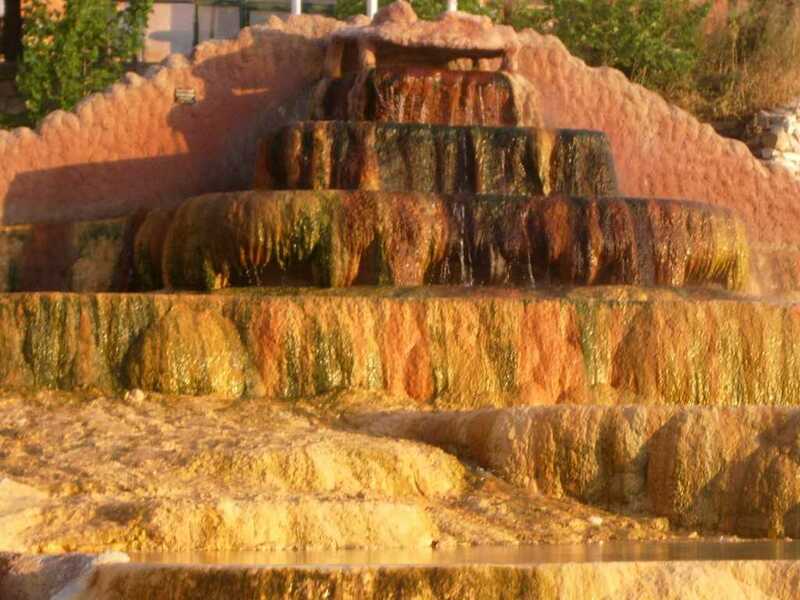 Karahayıt thermal spa center was known by only domestic visitors just a couple of years ago but today providing more services with luxury hotels and pensions tourism has gained importance increasing and is becoming a health spa center soon. 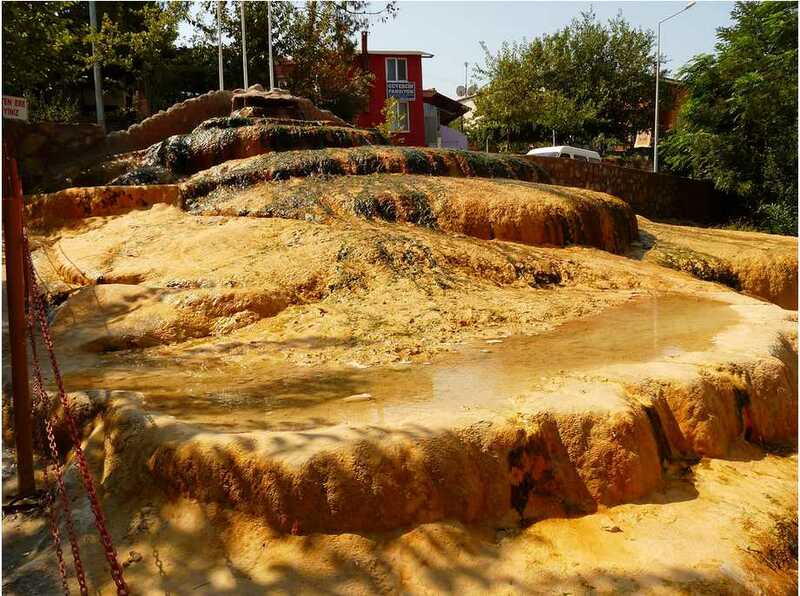 Karahayıt red water travertine covers an area of ​​approximately 500 suare metres and the area has about ten five star hotels, twelve four stars and more than one hundred pension houses run by local family enterprises so it has become one of the famous destinations among the Russians, Germans, Americans, Indonesians, Malesians and Japanese groups to have both mud and thermal baths in the pools. 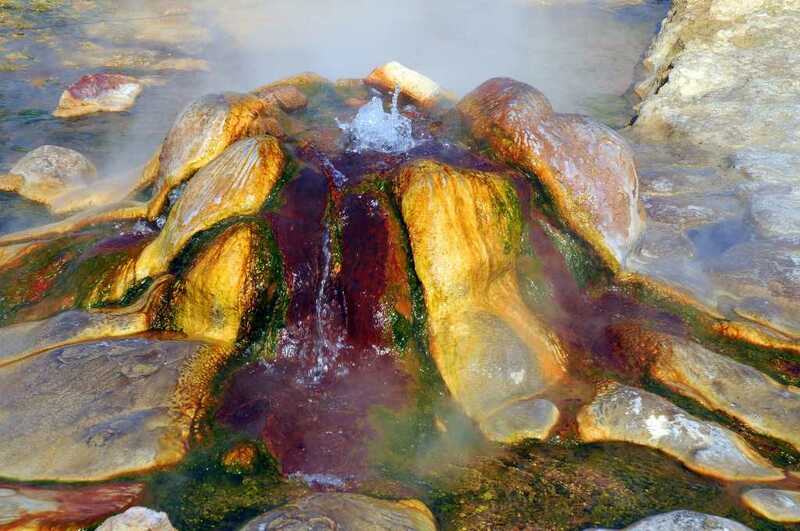 The people all over the world who are searching for healing or curing come here especially during the summer months and they enjoy spending at least one or two days to renew themselves in mud and hot water pools. The spa waters with high radioactivity are used for healing of heart diseases, high blood pressure , arteriosclerosis, rheumatism sciatica, skin nerve, lumbago and recommended for complementary therapies to the people suffering skin rash as seen the positive effects.